Stunning vintage modern console table with a cream colored faux bamboo frame and a stylish golden crackle finished top. The sleek matching rectangular mirror compliments the vanity. Elegant design ensures sturdiness and style in any modern interior. Please confirm item location (NY or NJ). 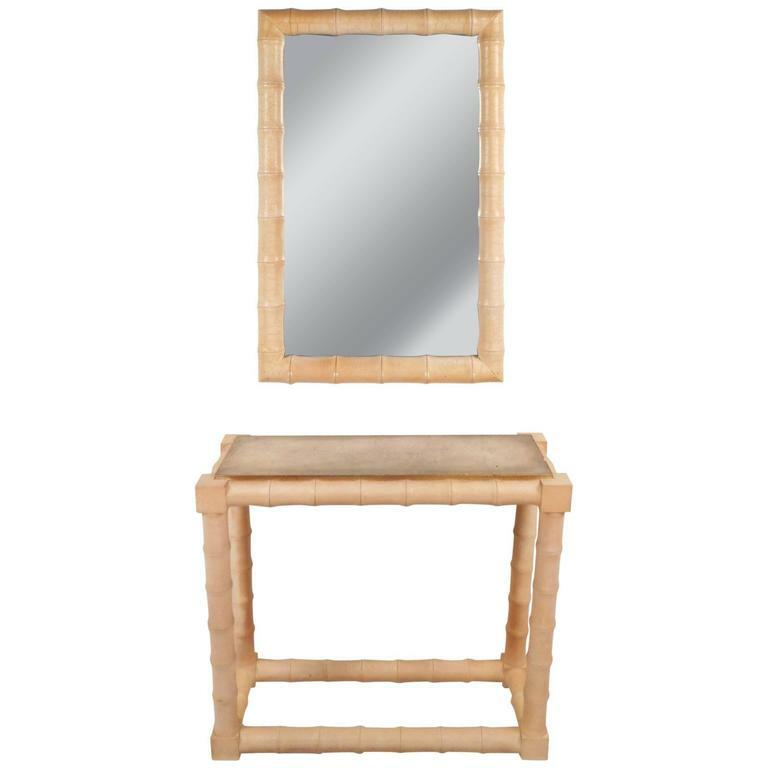 Measure: Console 33.25 W x 13 D x 30.5 H Mirror 22 W x 2 D x 34 H.
age appropriate wear, some scratches, edge wear, finish wear, some separation along edges of faux bamboo on mirror. Mid-Century Modern French faux bamboo cupboard sink with mirror top, 1920s. This piece was a faux bamboo console converted into sink. Italian Mid-Century Modern Lucite chrome and brass vanity table mirror.